I’ve avoided having a trilobite as Fossil of the Week because it seems like such a cliché. Everyone knows trilobites, and they are the most common “favorite fossil” (invertebrate, anyway). Plus our best trilobite (seen above) is the most familiar trilobite of all: Elrathia kingii (Meek, 1870). One professional collector — just one guy — said that in 20 years he sold 1.5 million of these. Still, trilobites are cool. They virtually define the Paleozoic Era, appearing in the Early Cambrian and leaving the stage (with so many others) in the latest Permian. They were arthropods, sharing this very large phylum with insects, spiders, crabs and centipedes. 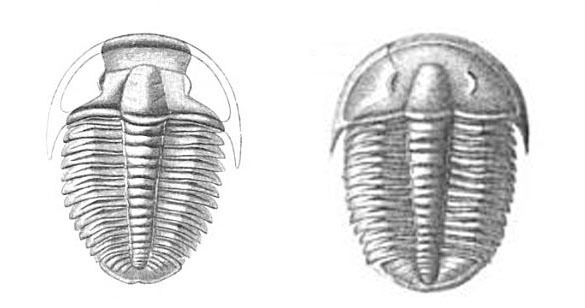 The name “trilobite” means “three lobes” referring to the axial lobe (running down the center along the length of the animal) and the two pleural lobes, one on each side. They also have three parts the other way: a head, thorax and pygidium (the tail end). Elrathia kingii is a ptychopariid trilobite found in extraordinary numbers in Middle Cambrian dark shales and limestones. There is a geological story here, two of them, in fact. One reason they are so common is that their populations were commonly buried by sediment stirred up in massive storms (Brett et al., 2009). They are among the only fossils found in organic-rich dark sediments because they lived in the harsh “exaerobic zone” at the very minimum of oxygen needed for animal life (Gaines and Droser, 2003). They apparently were the first large invertebrates to exploit this marginal environment. Elrathia kingii gives us the opportunity to meet a pioneering American paleontologist: Fielding Bradford Meek (1817-1876). He originally described this species in 1870, calling it Conocoryphe kingii (see above). Paleontologists are quite familiar with the name “Meek” following a fossil species because he described hundreds of them. Meek was a native of Madison, Indiana, a place where Ordovician fossils are abundant and easily collected. He was apparently an unsuccessful businessman so he jumped at a chance in 1848 to work for the U.S. government surveying the geology of Iowa. Meek was good at this job and soon was working with James Hall in New York, the country’s premier paleontologist. Meek was eventually based in Washington, D.C., with the United States geological and geographical surveys. After many accomplishments in government service, he died of tuberculosis in 1876 (White, 1896). Brett C.E., Allison P.A., DeSantis M.K., Liddell W.D. and Kramer A. 2009. Sequence stratigraphy, cyclic facies, and lagerstätten in the Middle Cambrian Wheeler and Marjum Formations, Great Basin, Utah. Palaeogeography, Palaeoclimatology, Palaeoecology 277: 9-33. Gaines, R.R. and Droser, M.L. 2003. 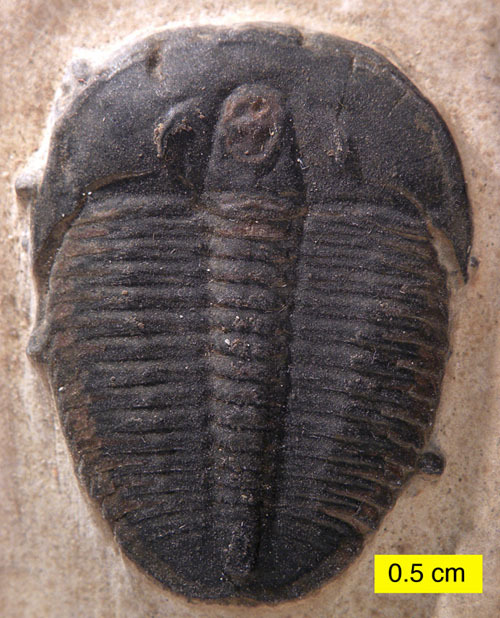 Paleoecology of the familiar trilobite Elrathia kingii: An early exaerobic zone inhabitant. Geology 31: 941–944. White, C.A. 1896. 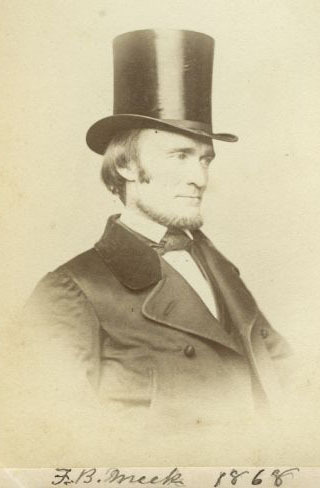 Memoir of Fielding Bradford Meek, 1817-1876. Biographical Memoirs, National Academy of Sciences, p. 75-91.